In a rare interview, Apple marketing head Phil Schiller and VP of Mac and iPad engineering John Ternus discussed subjects like the intense collaboration behind products like the MacBook, why Apple refuses to name most suppliers, and the flow philosophy behind the company's upcoming "spaceship" campus. One of the lesser-known inventions in the 12-inch Retina MacBook is the "speaktenna," which attaches the wireless antenna to the outside of the speaker module, Ternus explained to Mashable in the interview published Wednesday. The company realized that it couldn't do separate antenna and speaker systems well in such an ultra-compact machine, since both components need space to resonate. Instead the company had the antenna and speaker teams collaborate and learn from each other, Ternus noted. Schiller added that this reflects the reorganization Steve Jobs and designer Jony Ive put in place when Jobs returned as CEO in 1997, joining the engineering and industrial design teams "at the hip." The groups "think up solutions to problems together as the disciplines are merged into a seamless process," Schiller said. On the matter of Apple refusing to talk about suppliers, the executive commented that it's partly because the company sometimes uses multiple suppliers for a single part, and doesn't want to explain differences. In other cases, it doesn't want to announce when it switches to a new firm. 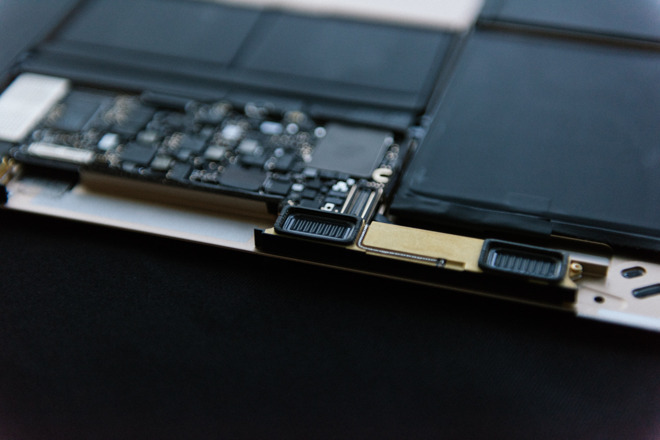 A major reason is that suppliers are often asked to create custom hardware for Apple. "The most common scenario is simply that what we got from a supplier basically has been created so uniquely for Apple that implying it's an off-the-shelf part like others may get would be really misleading," Schiller said. Asked about whether not the shape of Campus 2 might not impede the kind of collaboration seen on the MacBook —namely if one team was on an opposite side of the ring from another —Schiller suggested that the situation was "quite the opposite." "Everything" about the new complex is designed to spur collaboration, he suggested. The internal and external surfaces of the structure are hallways, and the open area in the middle is designed to push people to travel through it via pathways, even running trails. There are also said to be "large, open spaces" between interior seating areas, with the idea of encouraging work in communal areas. Schiller separately took a swipe at hybrid PCs like Microsoft's Surface Book and Surface Pro 4, which can serve as both tablets and conventional laptops. "There certainly are more offerings today, more people trying to create a market, but based on all the data that I've been able to see, it is still incredibly small and niche and may not be growing to anything significant," he said. "Time will tell."